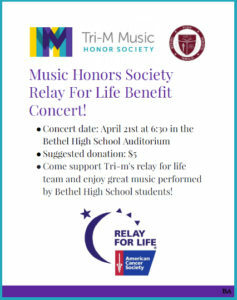 THE TRI-M RELAY FOR LIFE BENEFIT CONCERT IS TOMORROW!! Come join the Tri-M Music Honors Society on April 21st at 6:30 in the Bethel High School (BHS) auditorium to hear some beautiful music performed by BHS students and support an amazing cause! 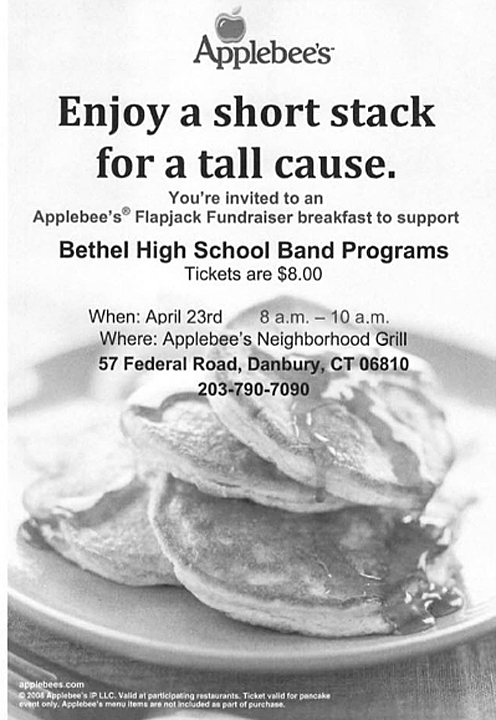 All profits go to their Relay For Life team! Two more fundraisers coming up for the music department! Show support! 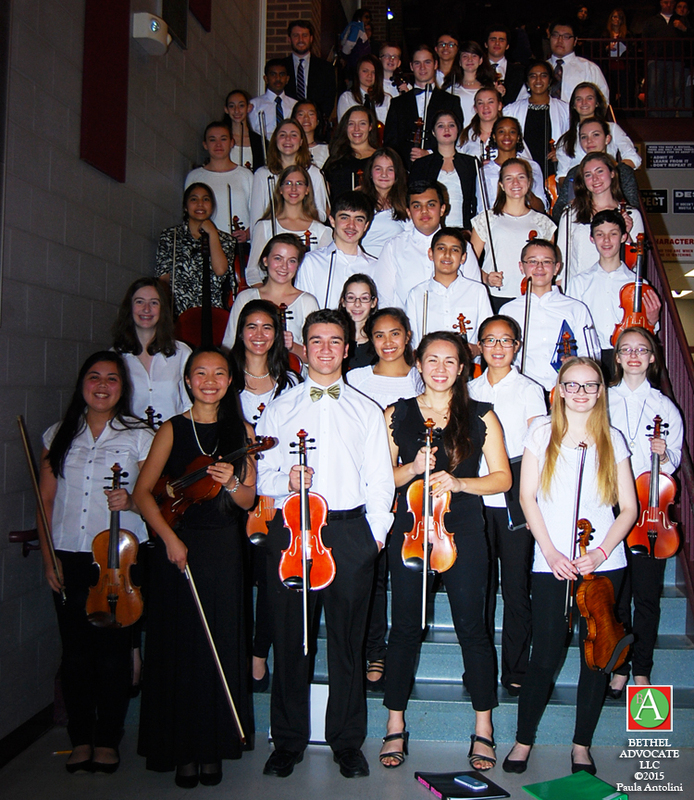 Saturday, April 22nd, 9:30-10:30 a.m.in the BHS parking lot. Donate clothes and household items to support the BHS Band and Guard. Sunday April 23rd. 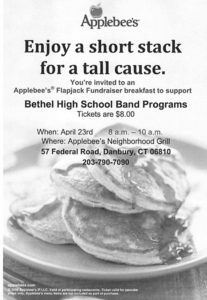 8:00-10:00 a.m. the BHS Band is having a Pancake Breakfast Fundraiser at Applebee’s.